There are a lot of different types of men’s wedding bands. Your choices range from high end diamond rings from designer brands to middle of the road brands that focus on toughness for the active guy. There are some very unusual ones, too. You have probably seen most of the high end men’s wedding bands at your fine jeweler. The most popular of them, however, seem to be a little more middle of the road or just a plain gold band. But when you are looking for tough and rugged for the active man, you have to dig deeper. 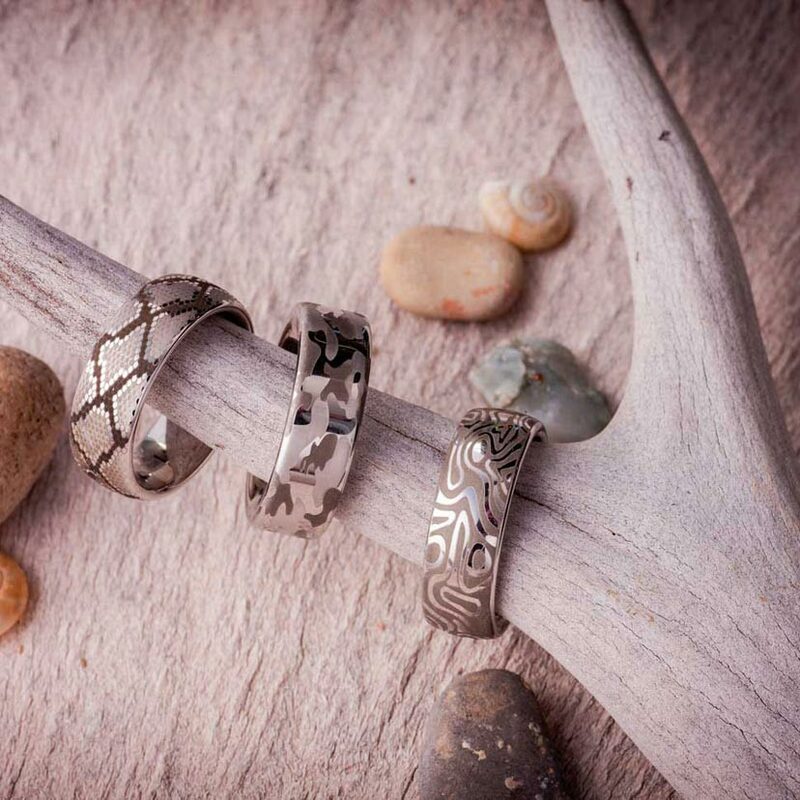 Jewelry Innovations’ Rugged Men’s Wedding Bands Collection. There is a jewelry manufacturer that specializes in the world of men’s rings with rings that can really hold up to whatever the guy wants to dish out. There are plenty of attractive choices for a man that works with his hands all day such as auto mechanics, machinists and pipe fitters. Jewelry Innovations designs specifically for the man who is very hard on rings. These are the men whose rings are usually bent out of shape, dented and scratched, no matter how careful he tries to be. This is the brand that offers rings made from Titanium, their trademarked metal Serinium and Black Diamond Ceramic. This brand isn’t afraid to go outside the box in design, as the ceramic line shows. You can get a wide variety of overlays like camo and woodsy designs. They even offer a few bridal rings and earrings. A girl wants to match her hubby, of course! 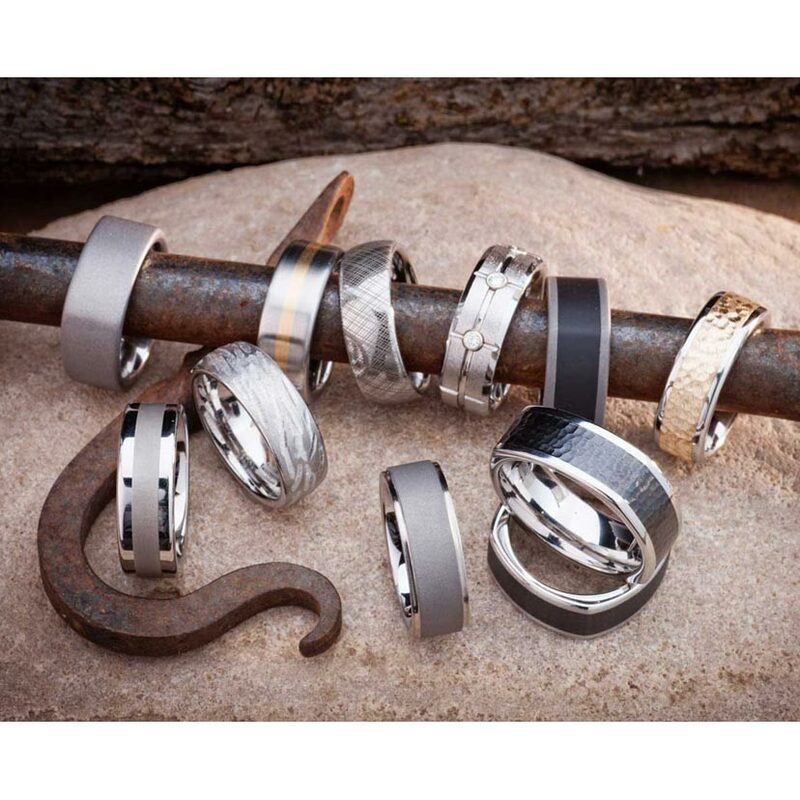 The Jewelry Innovations line of tough and rugged men’s wedding bands can be browsed at Ben David Jewelers. 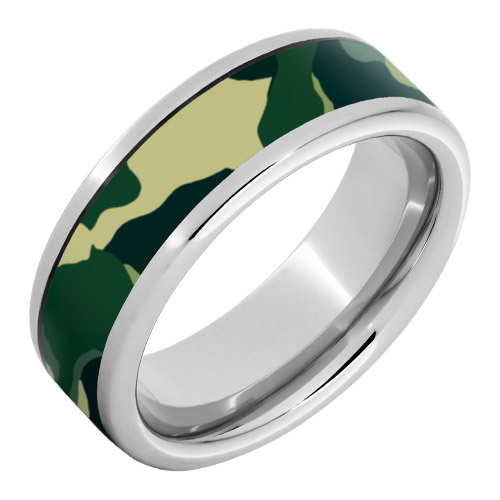 Stop by and we’ll be happy to show you these unusual wedding bands.